An impressive, individually designed detached house built to an excellent specification and a high energy rating. 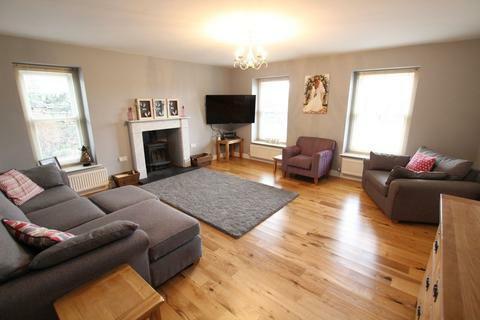 Two reception rooms, kitchen/family room, cloakroom, utility (one en-suite), bathroom, garage, parking and landscaped garden. Viewing Highly Recommended. (Photo shows rear of property). Apple House is truly a most impressive detached property built in 2017 under a 10 year guarantee, to an individual design with particularly high specification and energy rating. The property is of a timber frame construction with stone elevations under a slate roof, there is under floor heating to the ground floor, radiators to the first floor which is run on an air source heat pump augmented by high quality double glazing and high insulation. The kitchen and bathroom fittings are of an equally high standard and the property enjoys features such as oak doors, architrave and skirtings and a woodburning stove to the living room. Equal attention has been lavished on the garden which is well stocked and affords some interesting features, enclosed within a timber panelled fence to provide a good degree of privacy and there is off road parking to augment the substantial garage. (Photograph shows rear of property). Located in the heart of this historic village community which dates back to the Domesday Book, this property is just yards away from the village church, local shop, petrol station and The Skirrid Mountain Inn which claims to be the oldest pub in Wales. The surrounding countryside of the Brecon Beacons National Park is renowned for its outstanding natural beauty and outdoor pursuits such as mountain biking, hill walking and hang gliding etc, all of which may be enjoyed in the nearby countryside. The A465 trunk route is an ideal road for would-be purchasers who need road links to the A40 dual carriageway being approximately 4 miles away at Abergavenny and which in turn leads to the M50/M5 and M4 motorways. Abergavenny has a mainline railway station, general hospital and excellent shopping facilities and schools. The cathedral city of Hereford is approximately 20 miles to the north. It is with the greatest pleasure that we are able to offer this delightful and impressive family home for sale and we would urge prospective purchasers carry out a personal inspection in order to fully appreciate all that this beautiful home has to offer. Cathedral ceiling, double glazed full height window to side. Oak open-tread staircase to the first floor, tiled floor. Close coupled W.C., vanity wash hand basin with cupboard below, tiled floor. Double glazed window, tiled floor. A truly impressive room with 10 ft ceiling and woodburning stove mounted on slate hearth. Built-in bookcase, oak floor, double glazed double French doors to the garden. Double glazed windows to the other walls. Single drainer stainless steel sink unit with mixer tap inset in Silestone worksurface with cupboards and plumbing for automatic washing machine below. Tiled floor, half-glazed stable door to outside. Oak floor, handmade oak staircase with glass banisters. Radiator. Double glazed double French windows with Juliette glazed balcony. Velux double glazed roof window, radiator. Velux double glazed roof window, fitted hanging rails. Thermostatic shower in glazed enclosure, vanity wash hand basin with cupboards below. Low level W.C. with concealed cistern. Towel rail, tiled floor. Double glazed window with views towards Skirrid Fawr, radiator. Freestanding bath, corner shower enclosure with drench shower, vanity wash hand basin with cupboards below, low level W.C. with concealed cistern, two Velux double glazed roof windows, tiled floor, tiled splashbacks, part wood panelled walls, extractor fan. The property is approached via solid double gates which lead to the extensive gravelled parking area and the detached garage. At the rear of the property is the air source heat pump. The extensive garden is enclosed within high timber panelled fencing. The garden has been principally laid to lawn with extensive well stocked shrub and flower borders and beds. The garden includes attractive flagstone patios, the principal patio has a pergola over. There is a wide variety of shrubs and trees including various apple trees and also a small vegetable garden. From the raised patio at the rear of the house there are also some delightful views over the surrounding countryside especially towards Skirrid Fawr. Block construction, double entrance doors, side personnel door, extensive storage space under the eaves, power supply. From Abergavenny follow the A465 north towards Hereford and after approximately 4 miles turn left signposted Llanvihangel Crucorney and proceed into the village. Turn right opposite the Skirrid Mountain Inn into Cwrt Mihangel to find the property located directly in front. Property reference UBM0903. The information displayed about this property comprises a property advertisement. OnTheMarket.com makes no warranty as to the accuracy or completeness of the advertisement or any linked or associated information, and OnTheMarket.com has no control over the content. This property advertisement does not constitute property particulars. The information is provided and maintained by Bidmead Cook - Abergavenny. Please contact the selling agent directly to obtain any information which may be available under the terms of The Energy Performance of Buildings (Certificates and Inspections) (England and Wales) Regulations 2007 or the Home Report if in relation to a residential property in Scotland. 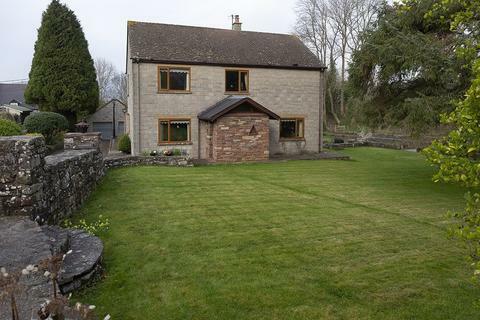 4 bedroom detached house for sale - Llangynidr, Crickhowell, Powys. 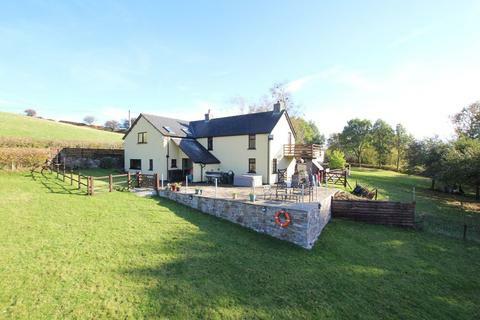 A delightful detached 4 bedroom house with a terrific outlook towards the Brecon Beacons. 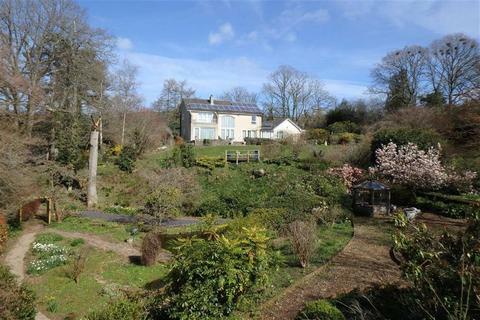 With stunning gardens extending to approximately 1.78 acres. Located in the heart of the Breconshire countryside. Situated in superb countryside is this charming, four bedroom, detached house with 5.5 acres, great garage/workshop and its own lake. It has two reception rooms, a kitchen, utility, bathroom and en-suite. It also has wonderful views.